Honorary Consulate of Switzerland in Florianópolis, Brazil located at 401 Square Corporate Sala 308, Rod. José Carlos Daux, 5500. View address, telephone numbers, fax, email and hours of operation below. 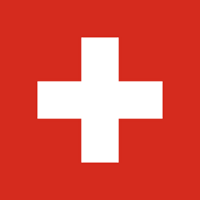 Please call Honorary Consulate of Switzerland in Florianópolis, Brazil at +55 48 99190 9017 to find out current hours of operation and other details. This page was last edited on 13 September 2018, at 04:52 AM (EST).